I struggled with what to call this. It is my own invention, born out of the desire for an interesting breakfast with stuff on hand. I didn’t really know how it was going to turn out. I was thinking of how I could use up the caramelized onions in the fridge and the sweet potato. Also, the mushroom looked liked they were on their last legs and I really didn’t want to waste anything. I remembered how layered dishes could be interesting. 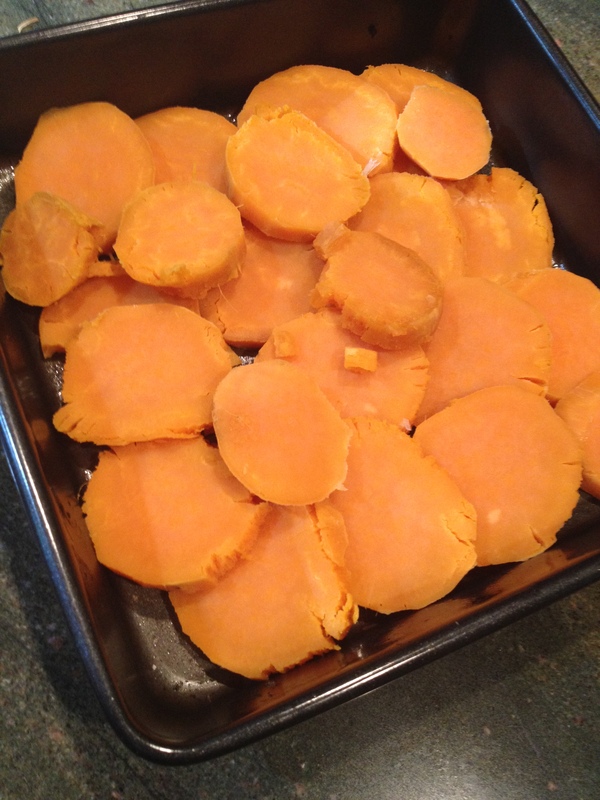 So I started with the base layer of sweet potatoes and built from there. The egg was an afterthought because I wanted the protein for staying power. In the end, this was a total winner! I originally made it in a small dish in the toaster oven, for one. Then I liked it so much, I made it for a family party and it was devoured! So, you can make it in any quantity you want. 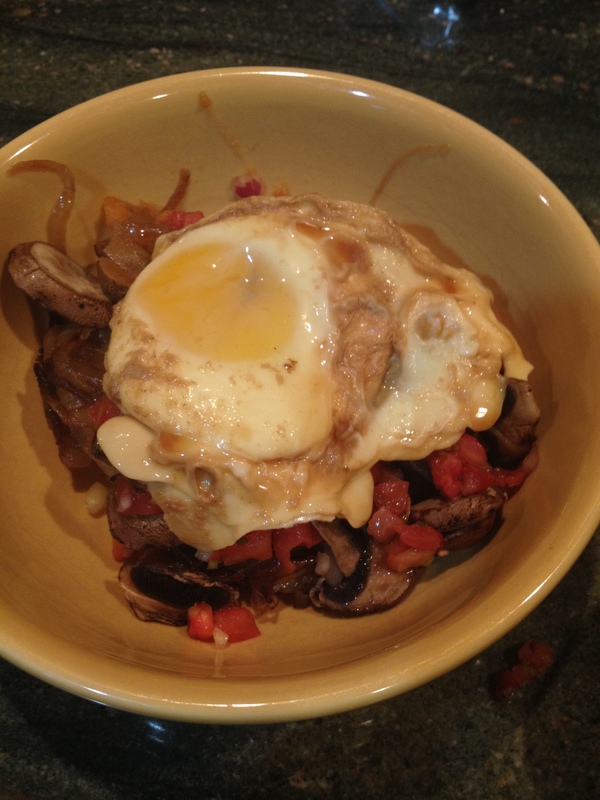 The eggs really add to the creaminess of the dish as it blends with the mushroom and onion juices. I hope you enjoy it as much as we did! 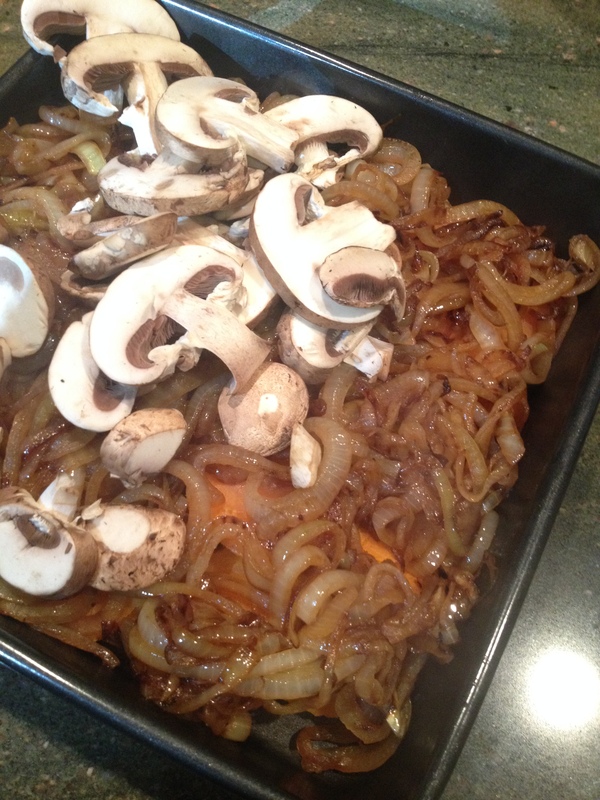 Layer all the sweet potatoes, mushrooms and caramelized onions in a casserole dish and bake at 375 degrees for about 30 minutes. 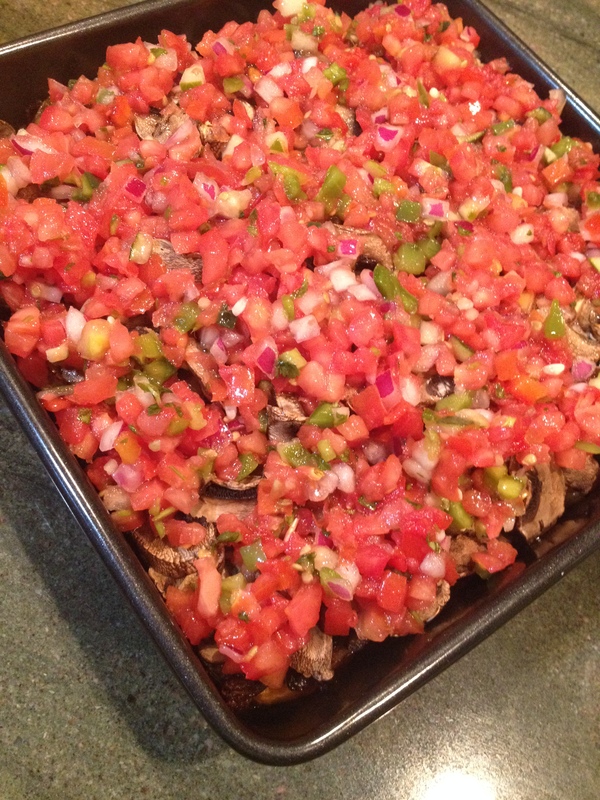 Cover with fresh salsa and top with at least one poached egg per serving.